We’re pleased to announce the addition of SpamExperts Outgoing Filtering on our shared hosting servers! 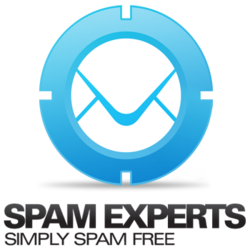 For several years we have used SpamExperts to filter incoming email for our customers, removing large amounts of spam and viruses from your mailboxes at absolutely no additional charge. Outgoing spam and blacklisted IPs have long been an issue for shared hosting providers. We tested several filtering technologies and SpamExperts came out on top, blocking nearly every malicious email sent from our servers and alerting our admin team. This has been enabled on all shared servers and will eliminate issues with email deliverability caused by blacklisted IPs. In the unlikely event that an IP does get listed we would be instantly notified by the system and can remove that IP address from the sending pool. Along with the SpamExperts inbound filtering your email is now more reliable then ever.